Delhi and its adjoining areas are again becoming sought-after destinations for real estate developers, with such as Sobha Developers and Godrej Properties planning new projects. Tata Housing and Bharti Realty have also announced projects near the Delhi border. Bengaluru-based Sobha signed an agreement last month with Indian Hume Pipe to develop a residential group housing project in Badarpur, South Delhi. Godrej has an agreement with Southend Infrastructure to develop a five-acre luxury residential group housing project at Okhla Phase-1, Delhi. Bharti Realty is also planning to launch its first residential project in Surajkund, Faridabad, near Delhi. Tata Housing’s wholly-owned subsidiary Tata Value Homes, is coming up with an affordable project at Bahadurgarh, also close to the capital. All these projects are likely to go on stream this financial year. According to experts, with notification of a land pooling policy in Delhi, more developers are expected to enter the market. With property prices in Gurgaon touching the roof, developers are scouting for locations near the Delhi border to offer residential units in the mid-end segment. J C Sharma, vice-chairman and managing director of Sobha Developers, said, “The demand is much stronger in Delhi-NCR compared with others. He added there is room for correction in the prices, which will spur demand. The macro environment is better and things should start improving from now on, he said. Also, prices in the residential segment across the region are likely to correct by 15-20 per cent over the next couple of years because of the land pooling policy. This will lead to an increase in the demand for residential properties. S K Sayal, chief executive officer, Bharti Realty, in a recent interview to Business Standard said they would focus on launching projects in Delhi-NCR, Punjab and Haryana. 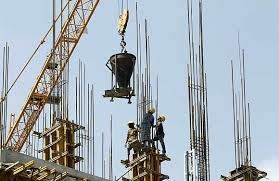 A few weeks ago, the government approved regulations for a land pooling policy in Delhi, which will pave way for development of about 100 residential projects across outer part of the capital. Delhi will bring in about 14,00,000-16,00,000 units. Delhi Development Authority has been unable to acquire land over the past 10 years, which mandated the need for a hybrid land pooling policy. About 25,000 acres will be unlocked through 95 villages and it will take about 10 years to fully develop the land. At present, the population of Delhi is around 17 million and is expected to reach 23 million by 2021. Under the policy, notified in September 2013, landowners can pool their land for development by DDA. But instead of compensation, owners will get 48-60 per cent of the land back after the authority has set up the infrastructure.